After submitting a preprint, your preprint submissions will be aggregated in a central location for ease of access and navigation. 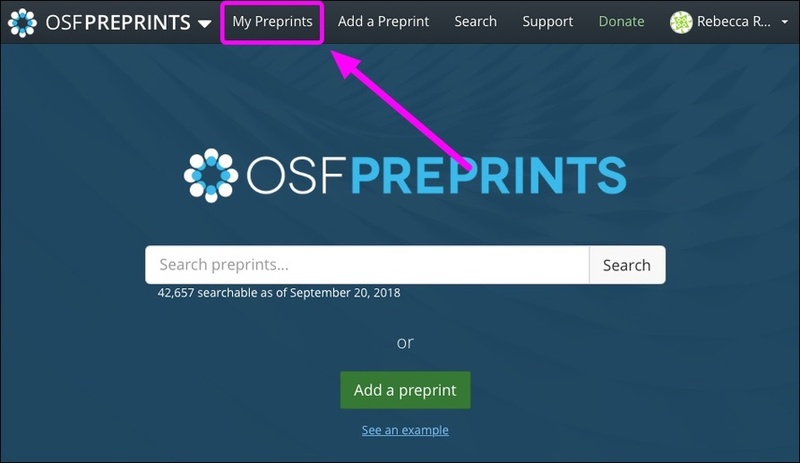 First, sign in to OSF Preprints or a community preprint provider. All of your preprint submissions will be listed. Select a preprint from the list to navigate to its "Preprint Detail" page.